Chhattisgarh, India: Mita Bai, 34, will never forget the morning of May 6, 2005. It was 8 a.m. in the morning when a group of three men and six women came to her house with their allegations, branding her as, “a witch.” As an attack against her broke out, she cried out for help, but no one heard or heeded her pleas. Instead, she was dragged from her home, stripped of all her clothing, and nearly hung from a tree. What was her crime? She was accused of bringing misfortune to others in the village as a practitioner of “Dayan Pratha,” known in rural India as the practice of witchcraft. Kerva village in Chhattisgarh is near a vast, deep forest. The road to the village is so remote and difficult to reach that there are no buses; only a slow four-wheel drive vehicle can negotiate the terrain. With the nearest police station 40 kilometers away, police rarely venture into to the village. After this incident, police visits have increased dramatically, with arrest warrants for the six women and three men. Four of the wanted individuals are still in hiding. In India today witchcraft allegation, persecution and violence is not diminishing. Mita Bai made her way to the police station on the day she was accused of witchcraft, begging for protection. She told the police how the group came to her house demanding she leave the village and how they physically dragged her out of her home. “They beat me up with sticks and rods and tried to hang me. When I overpowered them, they hounded me out of the village,” Mita recalled. She has now taken refuge in a nearby village, weeping continually in a way that is truly heartbreaking for anyone who witnesses it. While Mita suffers in exile, the turmoil has also caused villagers to express their own anger. According to them, they were only punishing Mita Bai for acts of witchcraft she had performed. “She is here to kill us,” said Manju, a 24 year old member of the community. Witchcraft in India is still part of the rural culture of India. Violence against women who are accused of being witches is generally present and pervasive. This violence can be so severe and dangerous, it can result in the death of women who are accused. “The struggle for gender equality is also a factor in the persecutions, as are poverty and economic inequalities,” said Dinesh Mishra, who heads Andra Shraddha Nirmulan Samiti, a non-governmental organization based in Raipur in Chhattisgarh state, which fights against the harassment of women in the region. The Hindu religion of India – called Sanathana Dharma (The Universal Religion) – has many beliefs and rituals. Numerous ancient practices have rituals that can be interpreted and viewed as witchcraft or paganism. Practices include the worship of nature in its various forms, as the qualities of nature are embodied as numerous gods and goddesses. 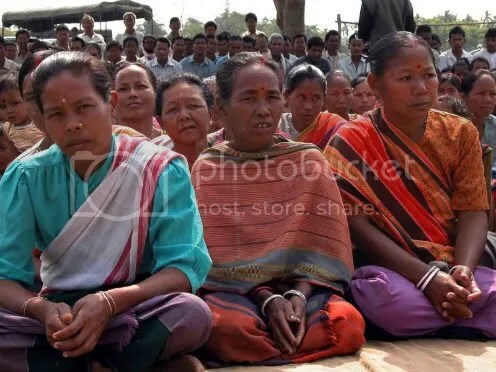 Today ostracism and severe violence against women accused of witchcraft is occurring at an alarming rate in the village regions of Chhattisgarh, Madhya Pradesh and Bihar, along with numerous other rural regions in India. “Women who are widowed, infertile, possess ‘ugly’ features or are old, unprotected, poor or socially ostracized are easy targets,” said professor Kanchan Mathur, from the Institute of Development Studies – India, in a recent 2009 report. Accused women are often blamed for any misfortune that befalls their village. Some of the misfortunes that lead to accusations may also include natural disasters, such as droughts, floods, crop loss, illness or, dramatically, the death of a village child. With such unjust public charges made against her, how could Mita Bai ever return to her own village to lead a normal life? Once a woman has been accused of witchcraft inside her own society, it is difficult for her to ever escape the stigma. She can suffer severely the rest of her life. On guard at all times, she can be hurt at any time by ongoing public humiliations that range from public beatings, forced hair shavings, and forced acts of physical torture; such as being forced to go naked in public or to perform public acts of humiliation. Violence against women in this case can escalate into serious actions that can lead to a woman’s death. Witch hunting in India is not an ancient practice that has been left to history. It is currently still widespread in Madhya Pradesh. But it is most prevalent in the tribal-dominated areas of the state. In the districts of Rajgarh, Khargone, Badwani and Jhabua, where accusations of witchcraft are unfortunately common, many older women who are accused cannot defend themselves in any way. In the tribal villages, the village ‘ojhas’ (known as ‘sorcerers’) boast of their powers to detect a witch – but they will only do so “for a price.” For the ojha to declare a woman a witch, villagers simply need to cough up a goat, a bottle of liquor, or any other poultry animal to pay the ojha. When women reject the sexual advances of their male neighbors, it is another cause on the list leading to allegations of witchcraft. Made to pay a heavy price because they have spurned a man, a woman can be declared a witch by an overly greedy ojha, who works closely with the accusing neighbor, causing the accused woman to be harassed, shunned from her village and worse. Widows who refuse to relinquish claim over their husband’s property can similarly be threatened and charged with being a witch; an act that often succeeds to compel them to let go of their claim on their husband’s land. Even though these are reoccurring, well-known and recognized situations in villages, most village members fail to acknowledge when a woman is falsely accused. To publically say they, “smell a rat,” is next to impossible. 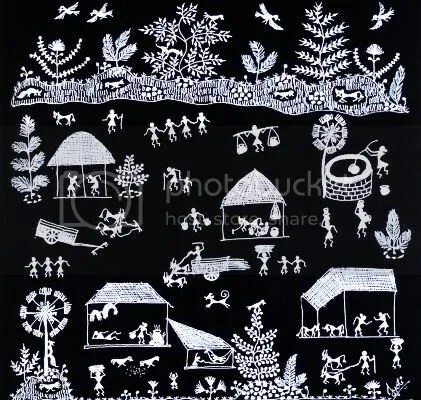 While the ojha casts their “spell” over the village, creating a sense of fear and insecurity with tales of black magic, witchcraft, and horrific acts, the “real” reasons why women are branded witches – for economic gain or sexual vengeance – are completely forgotten. Take another case of Bhuri Bai of Baman village in the Jhabua district. Almost three years ago, she was brutally beaten by her neighbors of many years, before being humiliatingly paraded through the village. Bhuri’s misery began when an ojha declared her responsible for the death of a child in the village. On the day of the boy’s funeral rites, a small piece of his flesh was said to have been found near his funeral pyre. The discovery caused swift gossip. The village ojha lost no time with the story. A case was built to cast suspicion upon Bhuri Bai as the “witch” who caused the death of the boy. These and other charges helped instigate the villagers to attack Bhuri. As violence escalated, in efforts to protect Bhuri Bai, her husband Keshav barely managed to save her from the deadly blows of the villagers that followed. Bhuri Bai is fortunate though, compared to many others who have been accused, there are countless others who have not escaped with their lives. According to the latest Jhabua district police records, over the last five years, 31 women were branded witches in the rural villages and beaten to death. These are not the complete numbers. Every year, many more similar cases, involving various degrees of violence against women (VAW), occur in the Jhabua district. What is most troubling is that such events find only a quiet mention in government records, if at all. The attitude of the police towards these cases is, at best, disappointing – and at worst, negligent. According to villagers, police simply encourage the parties involved to settle matters privately, without any formal legal action. The critical point is that women, who are accused of witchcraft in India, will often not seek any legal or police assistance. Shame, isolation and poverty feeds the wheel of no protection, no rights and no dignity for women who are usually on the bottom layer of Indian society and already without any proper legal recourse. The severity of deaths, due to witchcraft allegations, are caused by extreme and gruesome forms of torture, including acts of beheading, stoning, hanging, stabbing, poisoning or by being buried alive. Can Rural Society in India Change? “Victims are afraid to lodge a police complaint, fearing retaliation. After all, they have to live in the same village, amidst their tormentors,” explains Kumar. In most cases, women are so humiliated that they cannot continue to live in their home village. In fact, the family of a mobbed woman also often ends up living like outcasts themselves. In violent episodes, and humiliating action, many relatives and extended families of women who have been accused of witchcraft are also forced to flee their homes and village regions. According to the most recent data, approx 137 women accused of being a “witch” have been killed in violent acts connected to accusations against them in the region (2004 – 2009). These deaths are not easy and often include great suffering through public torture and humiliation. It is suspected nationwide in India today that the actual number of deaths due to witchcraft allegations may be much higher than reports indicate. Even with reported cases coming in lower than expected, “Less than 1% of reported cases actually lead to conviction,” says the Free Legal Aid Committee, a legal consultation advocacy group that works to help women in the eastern regions of Jharkand and Bihar in India.